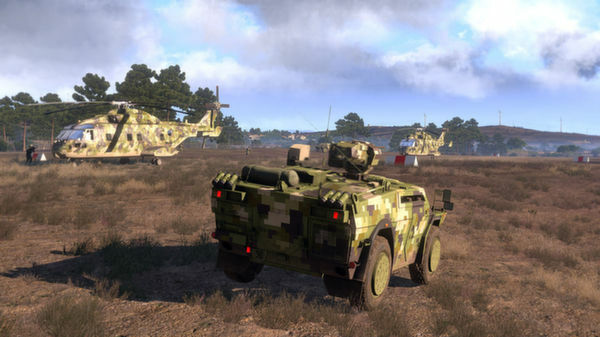 Good news folks, the Arma team is busy behind the scenes, and they are planning an update to the Linux beta port. Quote We are planning to update the experimental client port betas shortly after Nexus Update 1.54, so that players on Linux and Mac can benefit from all additions, fixes and tweaks as well. This will not be a simultaneous release, but we'll try to get it out reasonably soon after the Windows primary version. This is making the port sound more promising that it did before, as they weren't sure if they would update it or not, so it looks like it's going well. I was rather impressed with it that's for sure. I do hope they promote it to an official port soon after this. I will be trying it again once it has been updated for sure, and I might even livestream it. If you have been playing it, what have you thought? Thanks for letting me know Aymen. I will get this game for sure if it is officially supported. chrisq I will get this game for sure if it is officially supported. I just have the game and already boight some dlc's. I'll buy other dlc's when I can play online with updated patch and battleye aviable. So everybody wants it but nobody will buy it but it won't be released if not sold enough...? Well, that's a pickle. I quit watching HB as their track record has been 50-80% Windows only games. Seems like the gamelist was a flop - maybe I should be interested in ARMA 3, right now it seems to be the CoD of Linux whereas Storm United is the Halo of Linux. I will buy it once it's official and updated, so I can normally play with others.